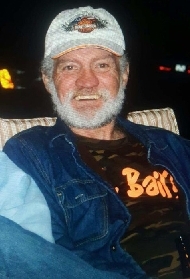 Rodney Dale Mull obituary. Carnes Funeral Home. Rodney Dale Mull "Rocky", 59, passed away on February 18, 2017 at Clear Lake Heart & Vascular Hospital. Rocky was born April 22, 1957 in Angleton ,TX to Seals Lee and Marceline Mull. Rocky is survived by his daughters Krystal Lee Hailey (wife Brigitte), Stacey Slocum, and Shauna Thomas. Grandchildren Kiersten, Christian, Isaiah, Sarah, Samantha, Carolyn, McKayla, and Coty. Brothers Audie Mull Sr and Gary Mull Sr. Mother Marceline Mull Brothers Ozell "Bubba" Taylor, Daniel Mull Sr, and Carl Ray Mull Sr. and sister Carolyn Trimble. There will be a public visitation held Thursday February 23, 2017 beginning at 5 PM until 7 PM at Carnes Funeral Home. Funeral services will be on Friday February 24, 2017 at 1pm. at Carnes Funeral Home with interment at Galveston Memorial Park in Hitchcock, TX.